With a bright and distinctive label that catches your eye immediately, Veuve Clicquot Ponsardin is world-renowned for producing some of the finest bubbles on earth. Founded in 1772, it would take more than forty grueling years before its legacy became etched in stone as the preferred champagne house of kings and queens following a legendary ‘Comet vintage’ in 1811. Surviving both crippling trade barriers and a Russian army occupying its terroir, one woman bravely stood at the helm during this uncertain era and would eventually lead her company to unparalleled prosperity. 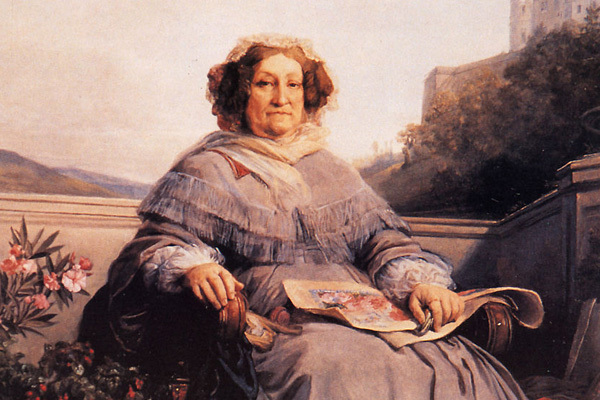 Her name was Barbe-Nicole Clicquot Ponsardin, a grieving widow that went on to become one of the most successful businesswomen in history. But as head of a champagne house during the First French Empire, Ponsardin was held hostage to the wars being waged by Napoleon Bonaparte. With a blockade imposed by the powerful British Navy on French exports and a mercantile system at home, finding new markets for Veuve Clicquot champagne became almost next to impossible in this harsh economic climate. Having to find creative ways, both legal and illegal to ship her wine, Barbe-Nicole decided to roll the dice with a move that would either make or break her. Entrepreneurs who understand the enormous risks that need to be taken in order to strike it rich will definitely enjoy the chapters dealing with Ponsardin’s challenges and her eventual triumph. Additionally, one of the book’s greatest strengths is the dichotomy shown during that time and the present. While today we take trade and commerce that is largely uninterrupted for granted, Ponsardin and her fellow champagne makers were at the mercy of blockades—shipping their product as contraband was sometimes the only option. And being occupied by a foreign power is something few vintners today will have to go through. Keeping Veuve Clicquot one-step ahead of the competition, Ponsardin created the system known as riddling or remuage, where the bottles are turned periodically in order to move the sediment towards the cork. Again, Mazzeo provides us with great context in showing the stark differences in how champagne was made back then and how it’s made today. Dealing with mostly sweet tasting vintages packaged in uneven sized bottles that could easily explode in your hands, winemaking was truly a labor of love where none of the scientific advances that the Champenois enjoy today were at Ponsardin’s disposal. Although the technique of riddling is still with us after two hundred years, comparing the past to the present seems almost like night and day. 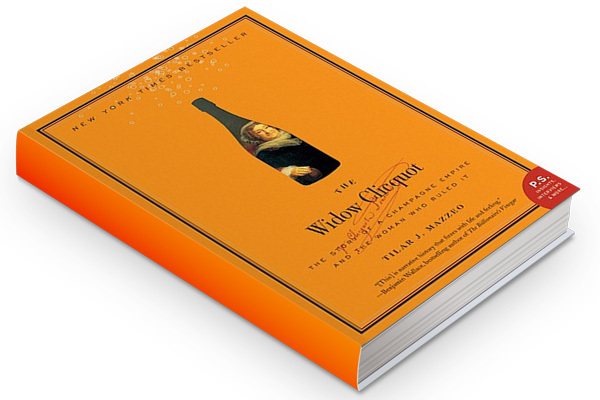 Whether your interest is in viticulture, history, marketing or economics, there is something for everyone in The Widow Clicquot. 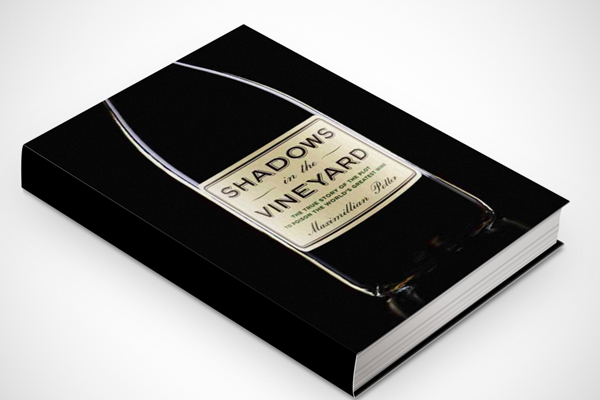 By focusing on this amazing story full of twists and turns that is meticulously researched, Mazzeo makes sure that the next time you see that famous yellow-orange label at the next soiree, you’ll have an arsenal of anecdotes to impress your friends as you sip this famous champagne! 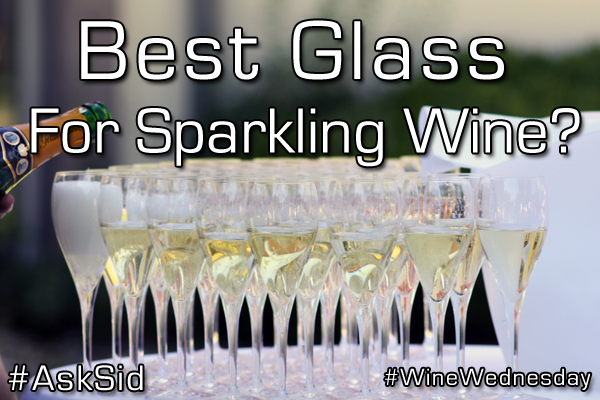 Is Veuve-Clicquot your favorite champagne brand?